In a prior post, I mentioned how subways tend to increase property values and desirability of residential and commercial properties. In that example I made a quick analysis of the effects of the 2nd Ave. subway on surrounding properties. 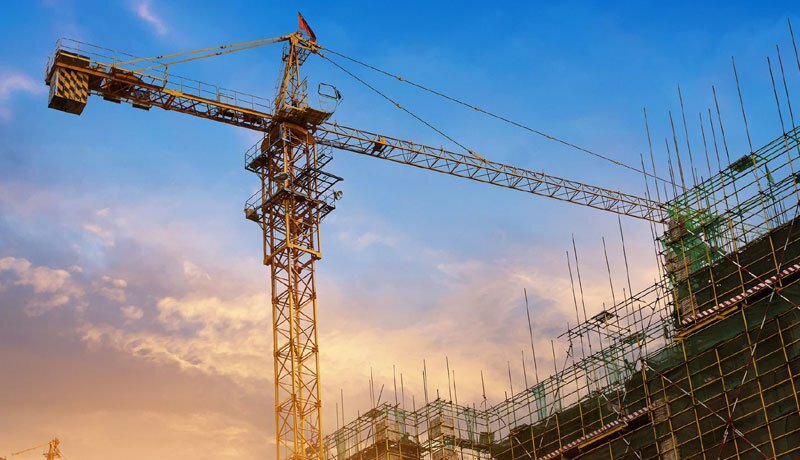 But what is the Trump effect on retail, commercial and residential properties? Take the example of Trump Tower where President Trump has his permanent home and his office. Vehicular and pedestrian traffic around this area has been disrupted due to security measures put in place immediately after the election. 56 Street between Fifth and Madison Avenue’s is permanently blockaded. 56th street between Sixth and Fifth Avenues is partially blocked to vehicular traffic. 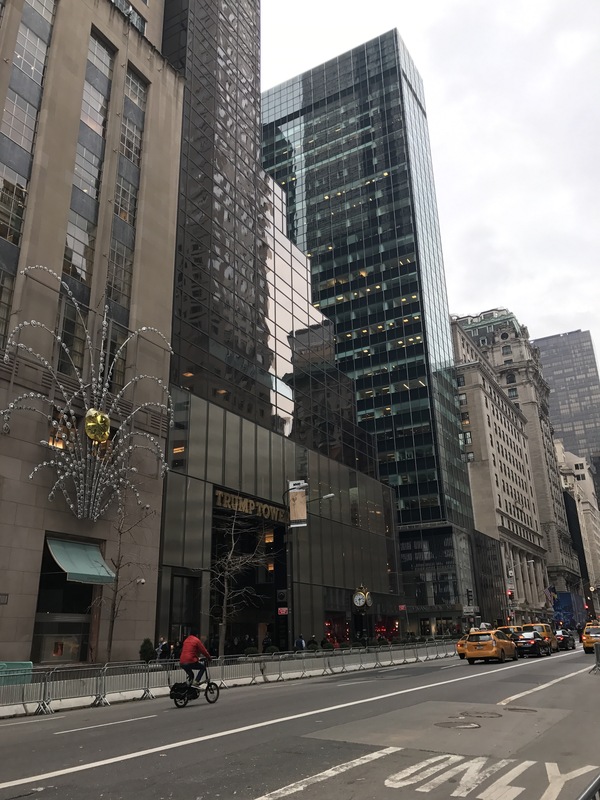 As for pedestrian traffic between 57th St. and 56th Streets on Fifth Avenue and 56th Street between Fifth and Madison Avenue’s are virtually impossible to access without a patdown courtesy of a Secret Service of NYPD officer. 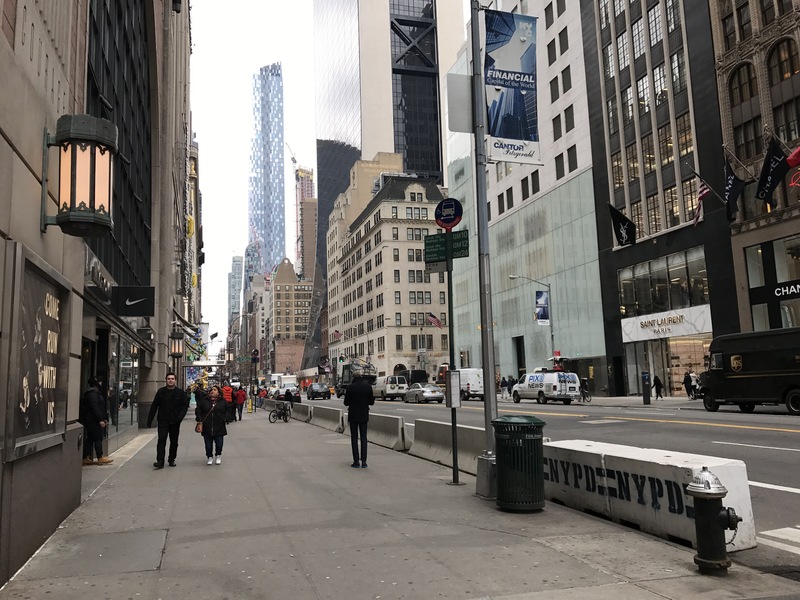 A recent walk along 57th St. between Fifth and Madison Avenue’s show \ concrete blockades which, if kept there during the entire Trump presidency would have a major impact on property values. I can’t imagine what Trump Tower residents have to go through every day to get to their apartment. 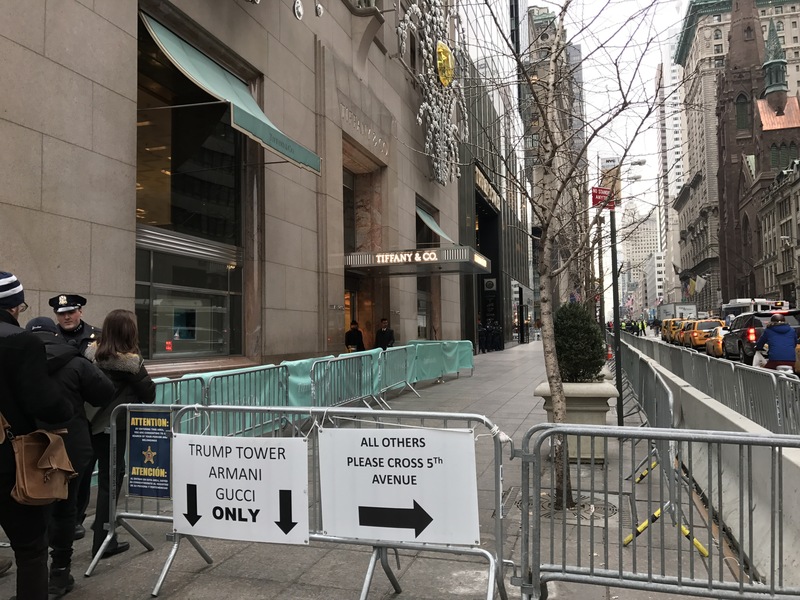 I see people trying to get into Tiffany’s, Gucci or Trump Tower stores and it does not look like a fun experience. 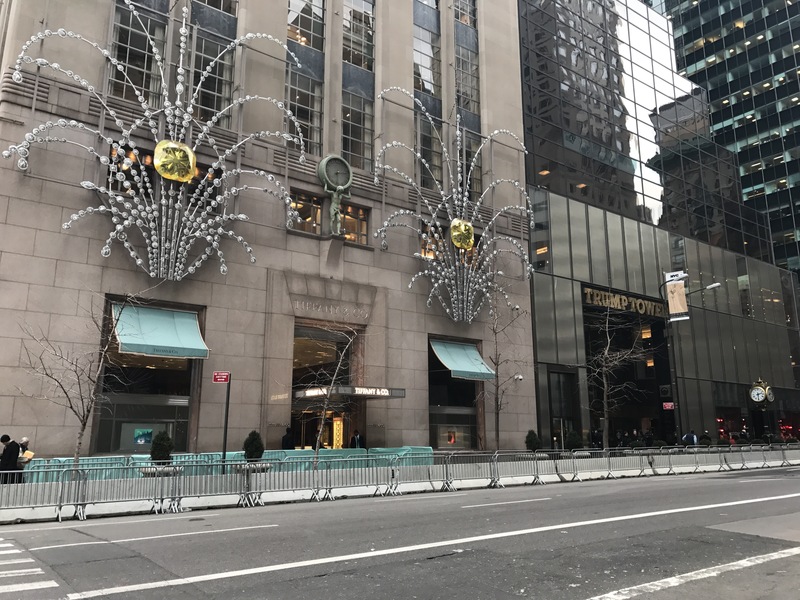 The impact of this won’t be known for some time but what we do know is Tiffany’s sales dropped 13% compared to the same period last year – on a recent conference call Tiffany’s attributed this drop to security measures in place for president Trump. One unlucky lucky tenant is Nike (where the Trump Organization happens to be the landlord). Located on E. 57th St. between Fifth and Madison Avenue, in the middle of the security issues, their lease is coming due in 2022. On November 30th 2016 Nike announced that they are relocating to 650 5th Avenue. They will still have to endure access issues through president Trumps first 4 years in office. I sometimes wonder if President Trump real estate portfolio benefited or not from his Presidency. We won’t know for many years but I know that it will be hard to lease the Nike space if these security measures persist and Trump is reelected.